We recently embarked on that monumental journey known as potty training, so I thought it would be a great time to share some potty training tips that have worked for me in the past and are working for me this go around. 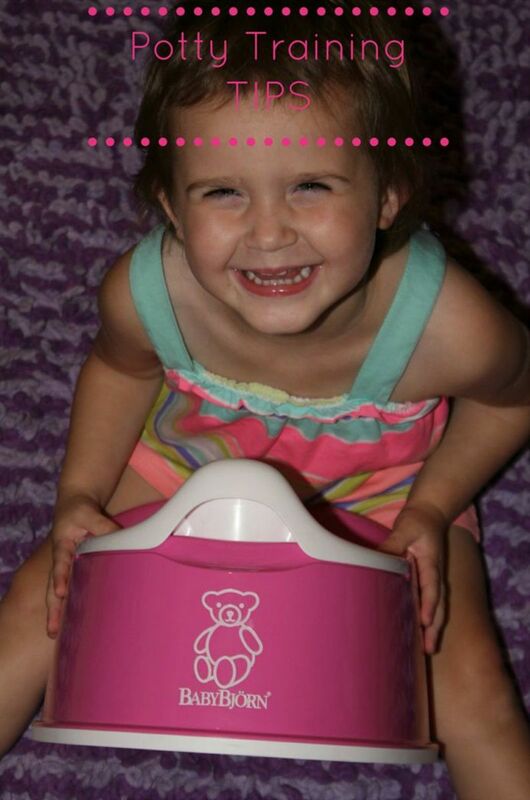 Did you know that summer is a perfect time to start potty training? You&apos;ll hear why when you watch our latest video, but I digress...Let&apos;s talk about how you can ensure potty training success! Children are all so different and I found that different types of tools and different tricks worked better with each of my kiddos...but there is ONE tip that is universal...Both you AND your child must to be ready. If your toddler isn&apos;t giving you queues that she&apos;s amenable to potty training and you aren&apos;t fully committed to the process, it&apos;s not going to work. For example, if your child isn&apos;t waking up dry from naps and in the morning, it&apos;s probably not time yet. Once you both ARE ready, however, our tips should help you on get on the road to potty training in no time flat! We&apos;ve partnered with Baby Bjorn to bring you some of our favorite products and tricks of the trade. From which type of potty worked best for me, the potty seat / toilet trainer or the potty chair, to reward methods like sticker charts and how placing potties in rooms other than the bathroom can help your little one feel comfortable, we&apos;ve covered it all in our potty training tips video! Get ready to say goodbye to diapers!